Mr. Bernardo is a veteran diagnostics executive who spent over 25 years with premier diagnostics organizations such as Thermo Fisher Scientific (NYSE: TMO), Siemens Healthcare, and Abbott Laboratories (NYSE: ABT). He took on the role of President of the Next-Generation Sequencing and Oncology division in 2015 and was responsible for leading Thermo Fisher’s efforts in these businesses, as well as his team which supported the development of innovative NGS-based solutions for other businesses within Thermo Fisher Scientific. Since 2008, Mr. Bernardo held four President positions with Thermo Fisher Scientific, including Next-Generation Sequencing, ImmunoDiagnostics (Phadia), Anatomic Pathology, and Fisher Healthcare. Prior to joining Thermo Fisher, Joe served as the Senior Vice President of the Central Lab Business Unit at Siemens Healthcare. 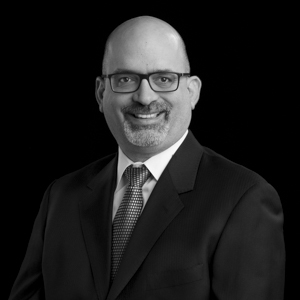 Mr. Bernardo has significant M&A experience and was involved with over 25 due diligences, acquisitions, and integrations since the start of his career. Mr. Bernardo holds a Bachelor of Science in Chemistry from Lafayette College and a Master of Arts in Chemistry from the University of Virginia. He currently is a Senior Advisor to The Boston Consulting Group.